How could I forget? Of course I didn't but I almost forgot it was your 14th month day two days ago. Mommy seem kinda confused with dates lately because she's been thinking alot these past few weeks. Nope, it has nothing to do with me and your dad. Well you know how we have been so happier since you came here. I'm just thinking about our homecoming to the Philippines. Some things are bothering me and that includes the scary Influenza Outbreak. We're still waiting (in vain) for your scheduled Inlfuenza Vaccine. I really wish we can go home this December even for 2 weeks with worry free. We're trying our best to settle some important things first. Our family, especially your Lolo are all waiting for our final decision (your dad is pressured..), they just can't wait to see the new princess in the family. Nevertheless, your passport is ready just in case. Anyways... you just keep on growing up aren't you? Can't believed you're 14 months old already... 14 months of wonderful existence and still counting. We're so blessed. I never thought how much fun and satisfying it would be to be your momma, and I’m glad I’m documenting it all down, from countless photo shots, to blogging my thoughts about being a mom to you. I just think this would gonna be a sort of unconventional baby book for you to look back on someday. You would know how much Mommy has made a lot of good friends here which helped her to become a better person in some ways because of their good blogs that I love to read during idle time and their inspiring messages and support. How can I thank them? It was quite a year of learning --rolling, sitting, clapping, eating, crawling, communicating, standing, walking, — and a lot more things ahead of us. I can’t wait to see what great adventures are in store for us next year! Happy 14 months Angela Azumi, and still looking forward for more laughs and woderful memories with you. Thank you so much for your time in reading my baby journal. I keep on saying that your messages inspires me so much because they really are. I have been also visiting your blogs and I must admit, they are more inspirational, and I have learned a lot from most of them. I'm glad I became a blogger. I never thought that you can really make good friends even online. Thanks to all of you and God bless. til sunday? I have christmas/new year cards for you. You are so diligent mommy. Azumi will surely be thankful to you for this journal. Kaya pala mala angel si anzu asi angela ang first name nya.. Happy 14 months celebration anzu! Wow! Happy 14 months BabyAzumi. :) Happy trip to Philippines. Your blogs is adorable. i like looking at your baby's pics. She is so cute. honestly you have such an interesting website. It's really great being a mom seeing your child grow up and being able to perform things one step at a time. It's my first time here, and I hope we can exchange links. Thanks! Wow! so sweet letter Bambie dear, it gave me watery eyed again!!! huhuhu.. you are right! I also never thought I could have smart and kind friends here online!!! ingats!!! You have a wonderful family!! Happy 14 mos.... Such a cute post. Ahhh what a sweet, loving mommy you are Bambie. Im sure baby Anzu will love your letter and thankful that you are her mom. Take care you guys on your vacay to the Philippines. 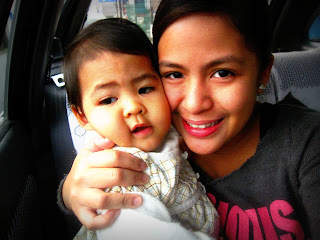 Happy 14th month Azumi! Take care you, three in case you decide to spend vacay in Pinas this month. I didn't know there's an influenza outbreak. P.S. Sis, alam ko ang arigato pero anong ibig sabihin ng 'gozaimasu'? Parang nakita ko yan sa menu ng paborito ko'ng Japanese restaurant. Palibhasa kain lang talaga talent ko, nyahahaha! heheheh really girl? wait is philippines included here? Happy 14th month! :) Enjoy every moment with your baby as they grow fast! thanks, nakakakilig naman may fan na si azumi. AKo kaya may fan din kaya? 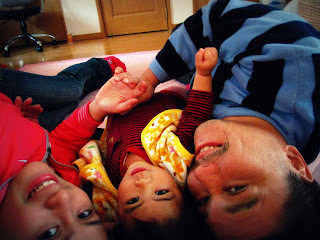 seriously, keep on updating about your lil boy as well..
Baby Azumi is really blessed to have a mommy like you who would document her every development in this blog. Someday when she has grown up, she will love and cherish each inspiring word and each wonderful photo you have featured in this blog. And she will love you more for that. Happy Fourteen Months to Baby Anzu. May she have many more pleasant and blessed months and years ahead of her, full of love and devotion from her beautiful mommy and daddy. I pray that you will be able to visit the Philippines to give joy to her lolo and lola. Thanks for the post. God bless you all always. I missed to participate last week but I am back now to share some of my mommy moments. that's so sweet of you, Bambie and your letter is so wonderful. it is heart-melting. you're a good mom and I hope God bless you with more wonderful kids. 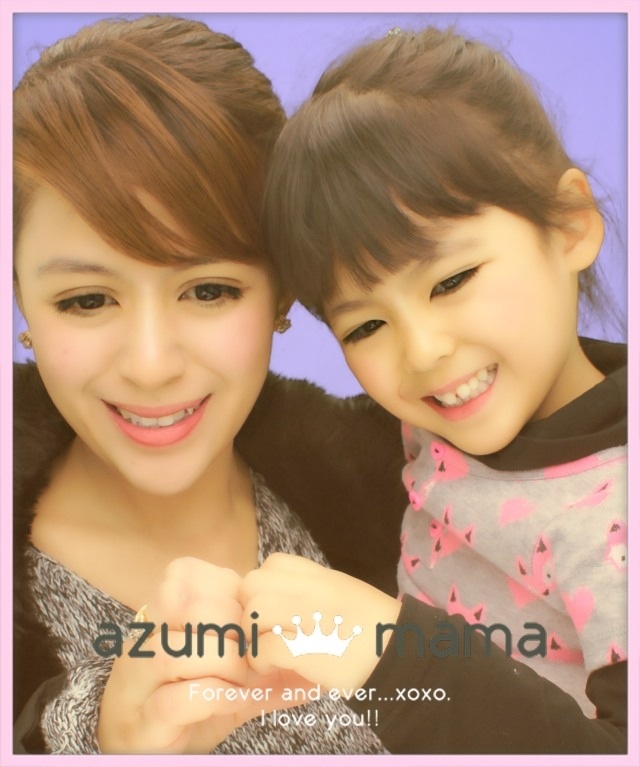 happy 14th months for azumi.. Done adding this site to my list of Mommy Blogs. Thanks for adding mine in your blog roll, too. Have a great Sunday! What a sweet photo and sweet letter to your baby. I would scrap and print it! thanks for the award. By the way I am also giving you a sunshine award; Your baby is a real darling. Thanks and take care always. awww..Happy 14 months to Azumi! Am I included in the address sending?